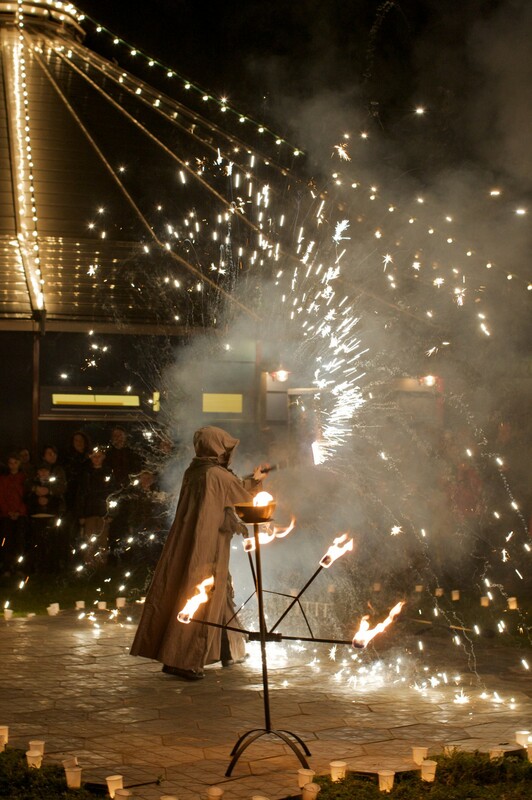 Volker Maria Maier’s fire-shows have a long tradition. 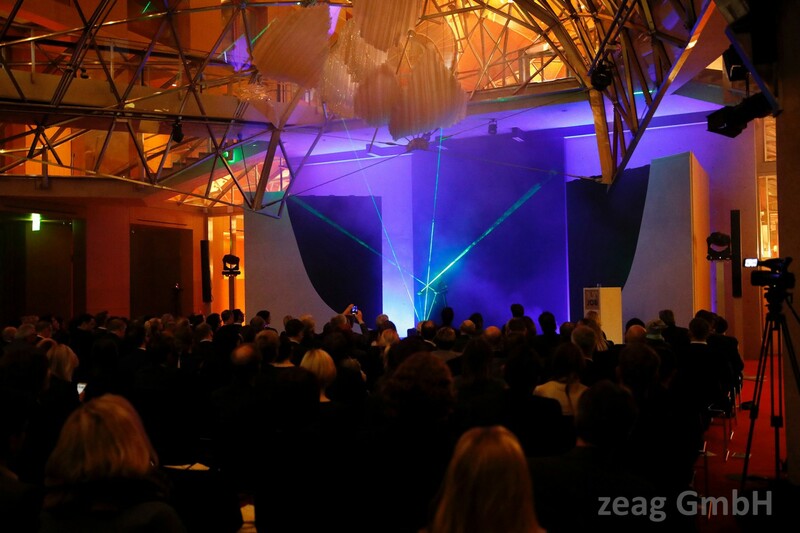 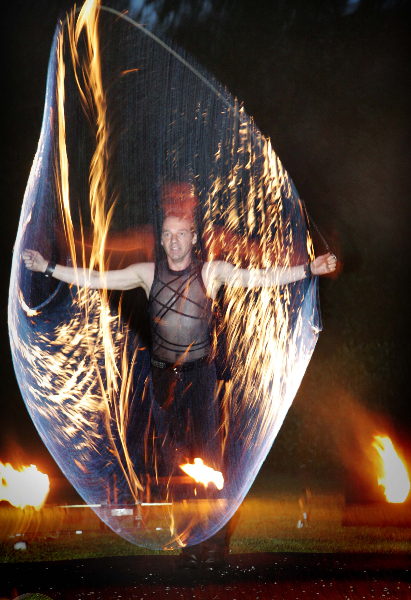 The performances are adapted to the conditions of the venue and setting, which will guarantee you a perfect event. 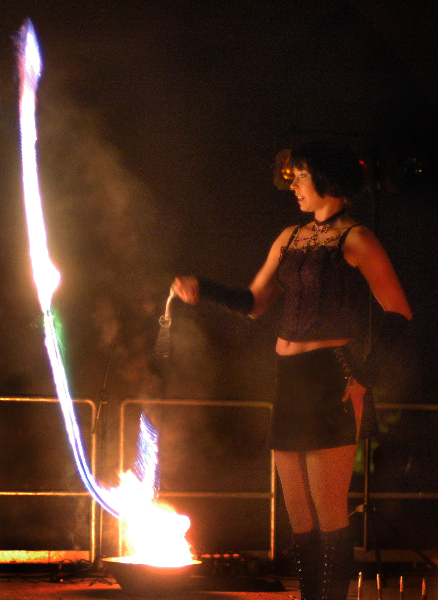 Security is always a priority-concern, which means that pyrotechnical-effects are only made use of when the setting provides a non-dangerous level. 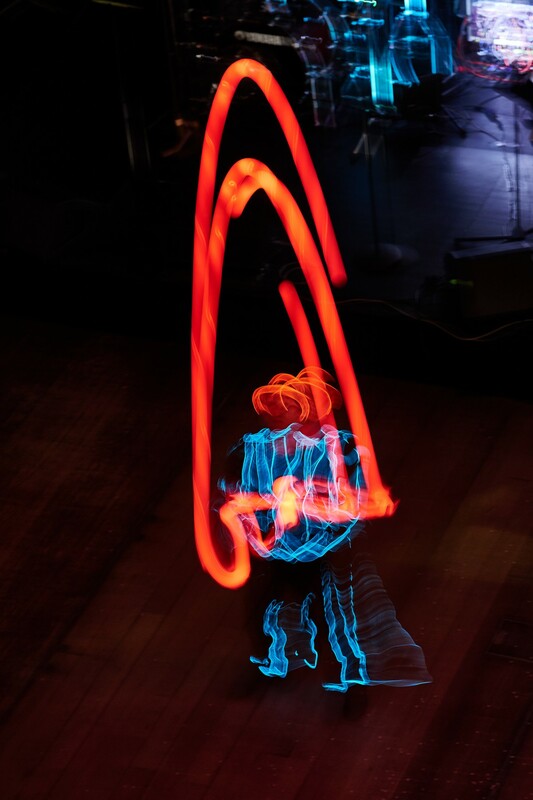 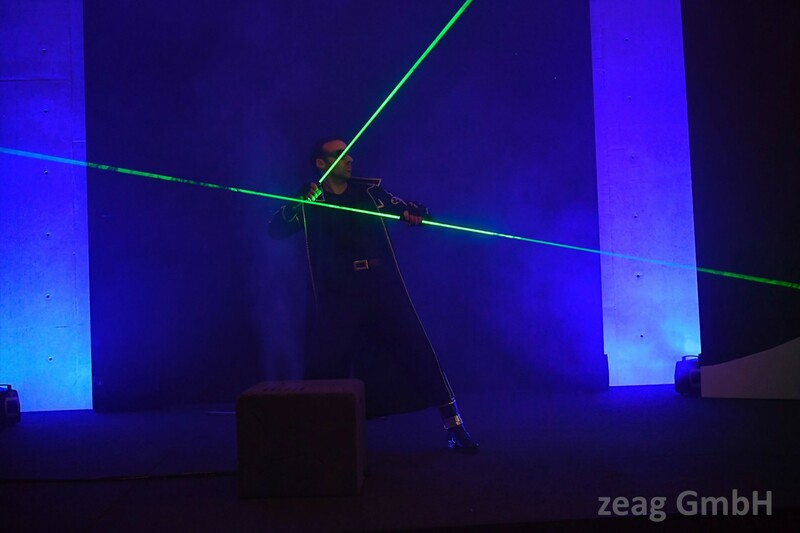 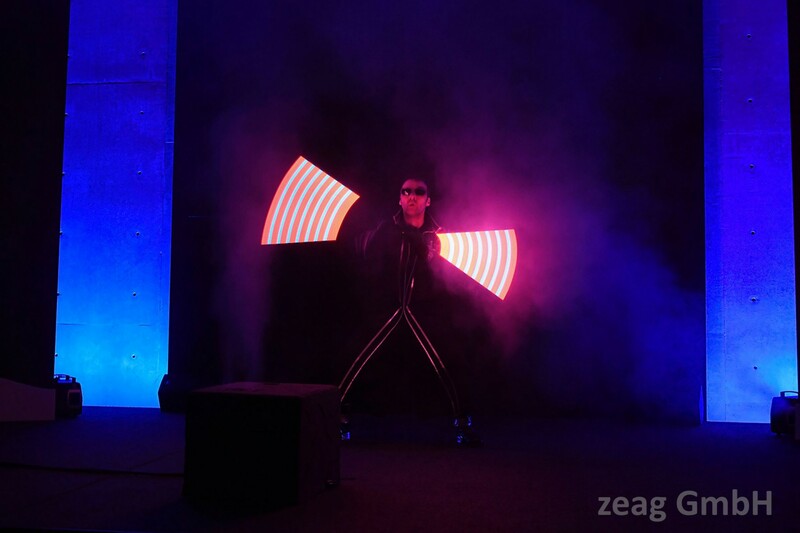 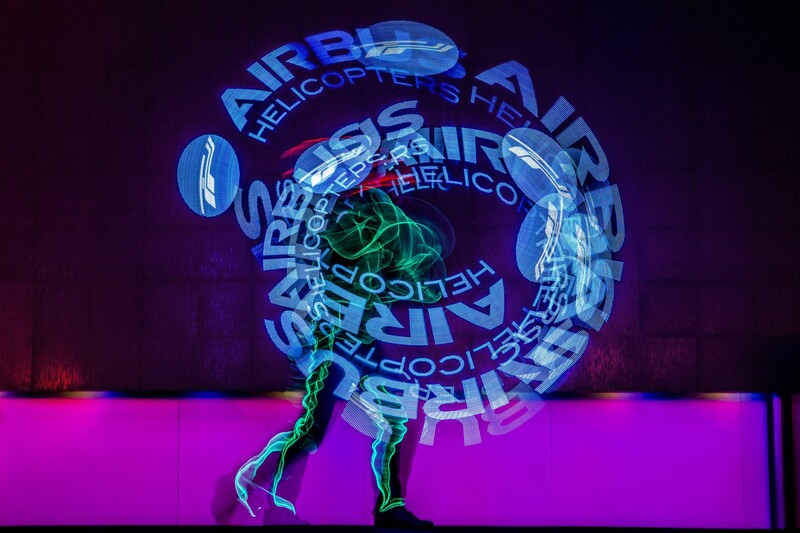 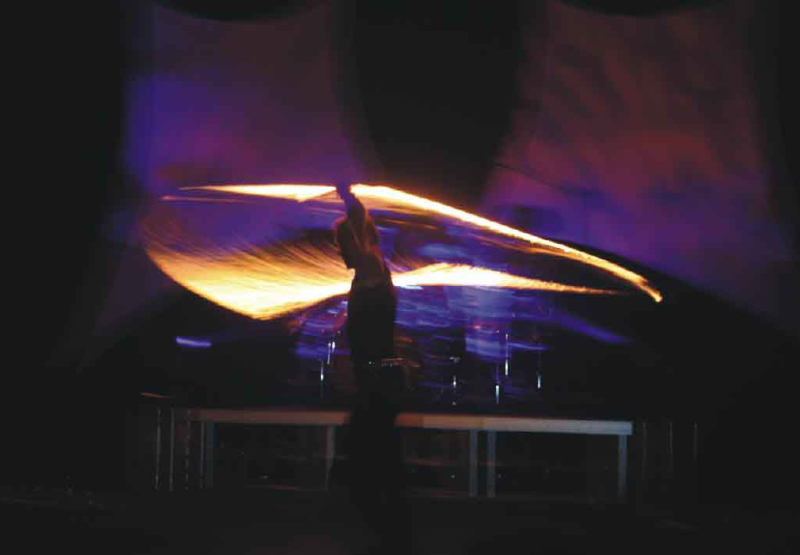 A special indoor-pyrotechnic allows these effects even in indoor-locations. 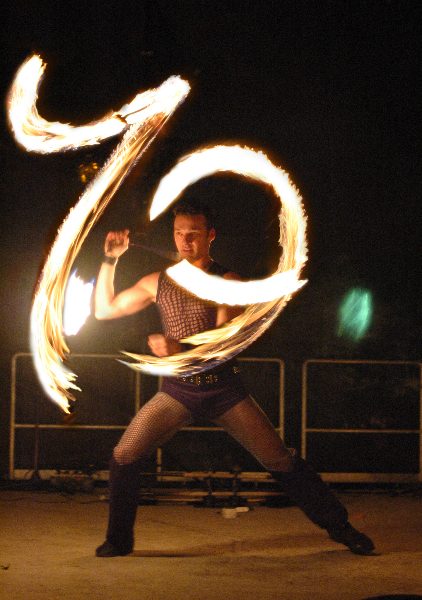 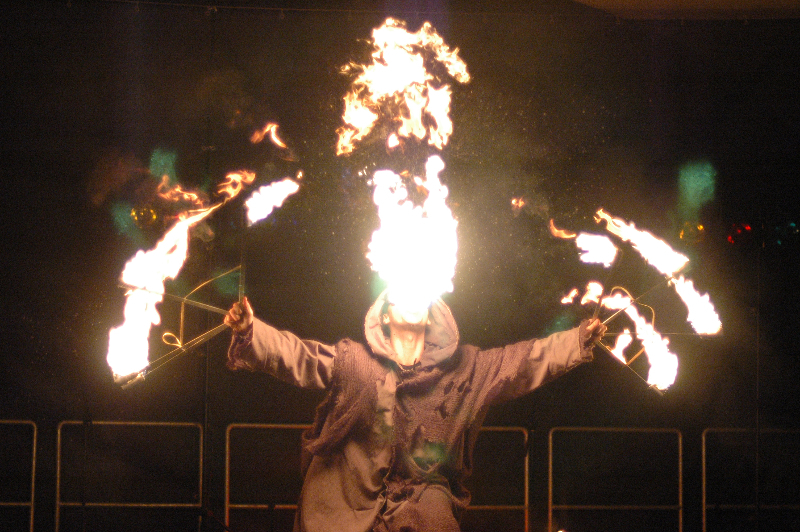 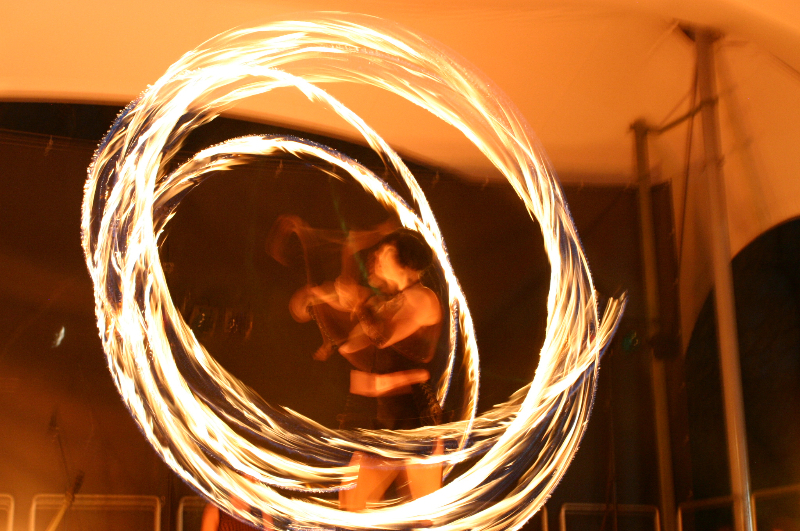 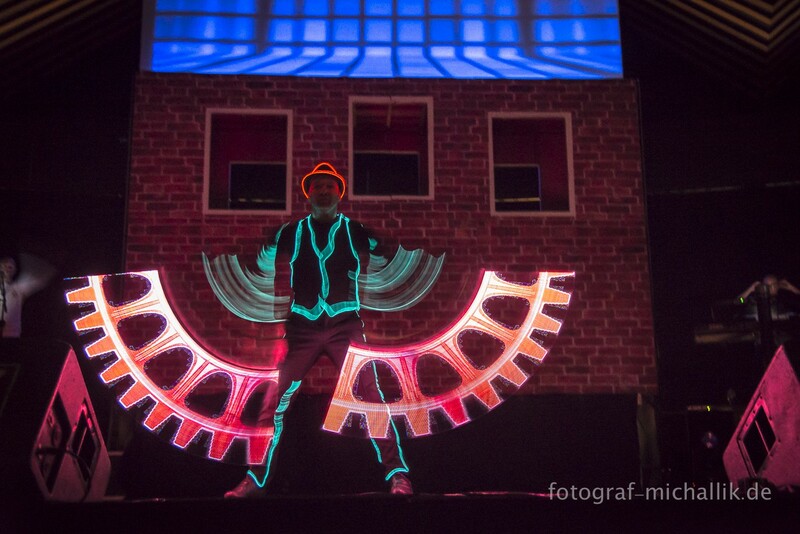 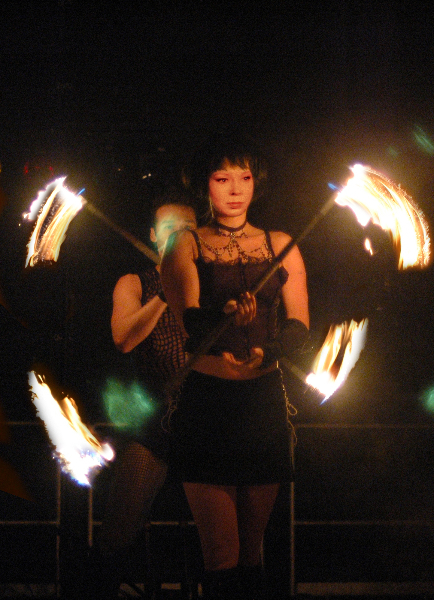 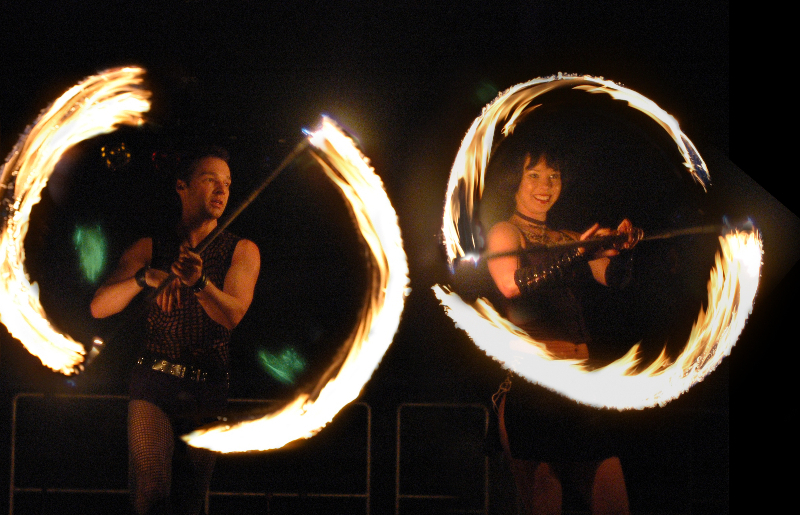 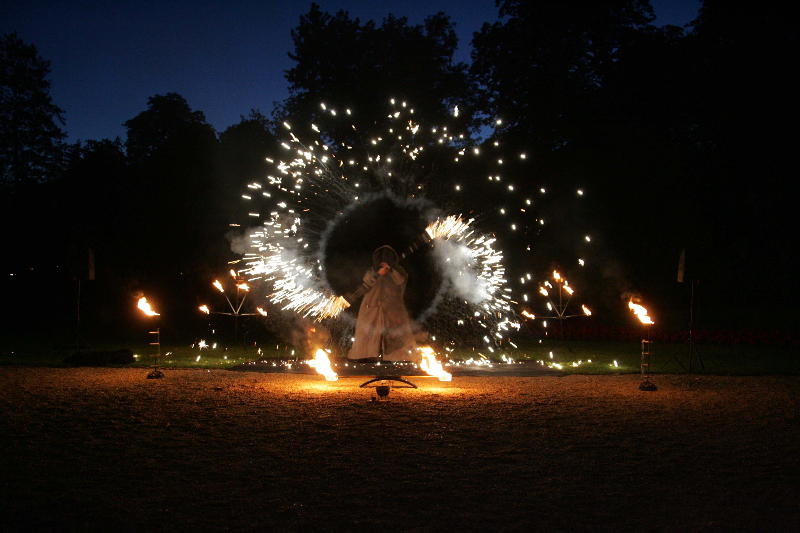 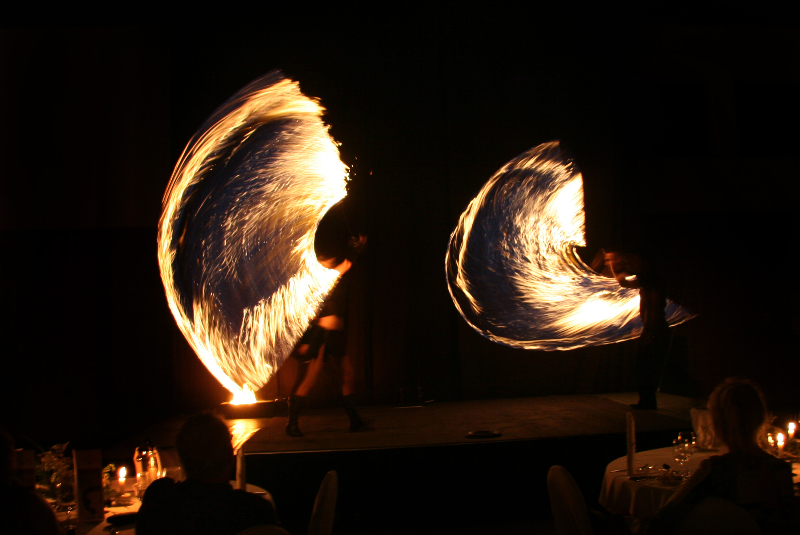 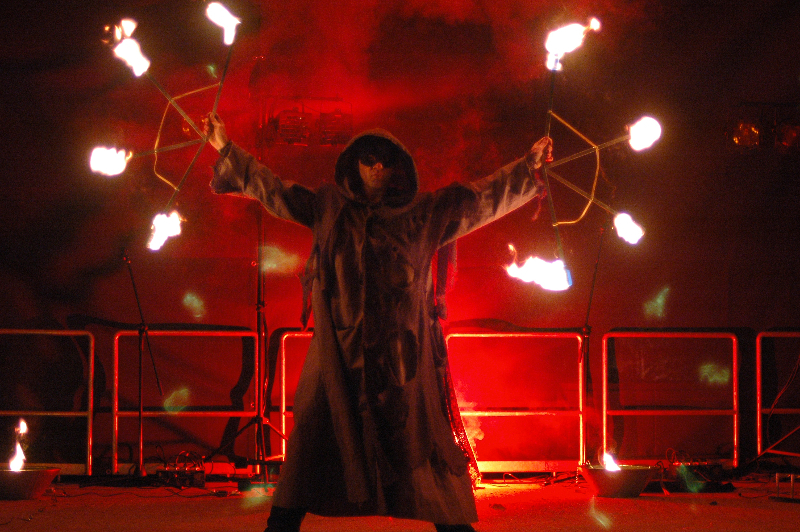 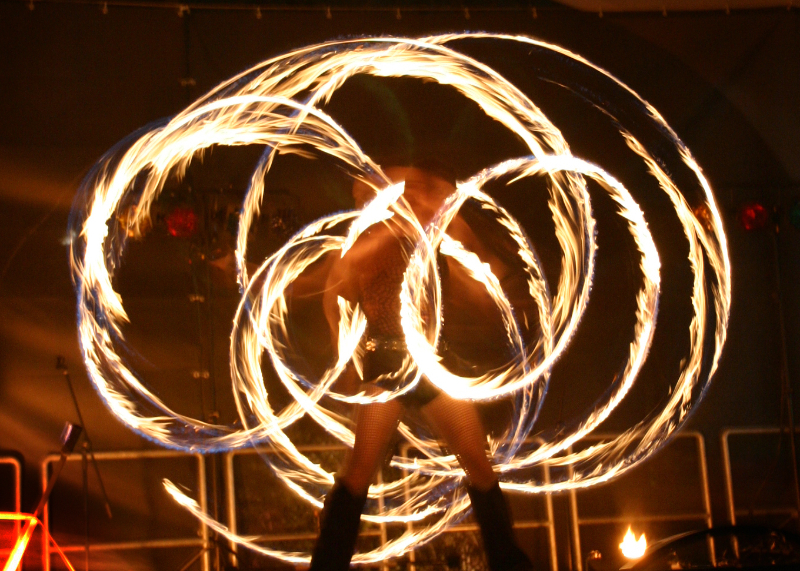 You can also book big fire-shows, consisting of several fire-artists. 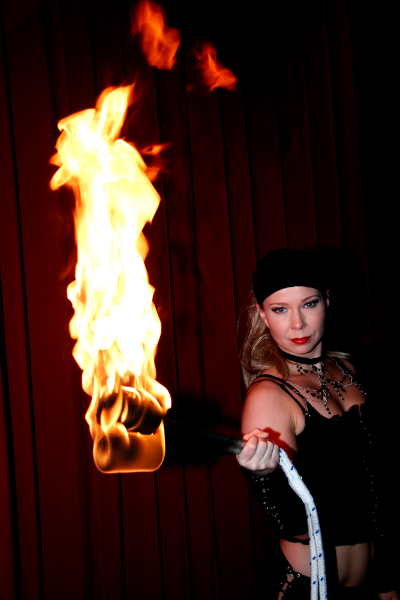 THE HOT SPOT – love fire? 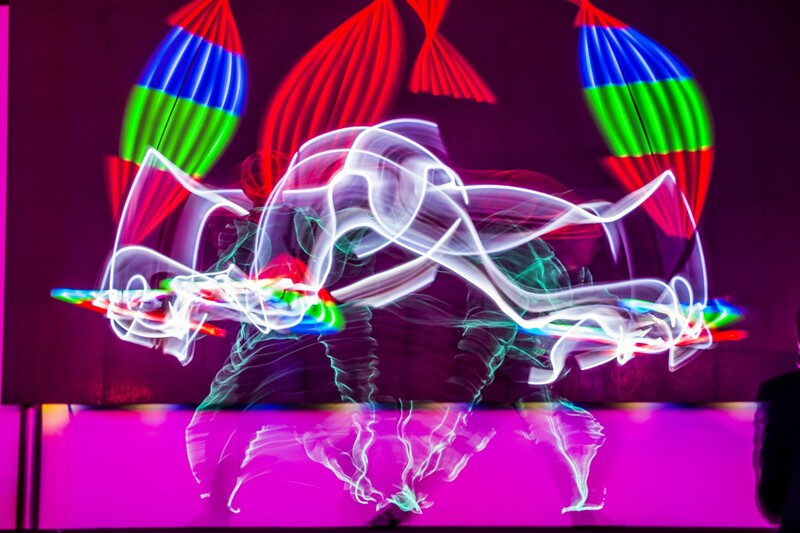 Don’t miss this show! 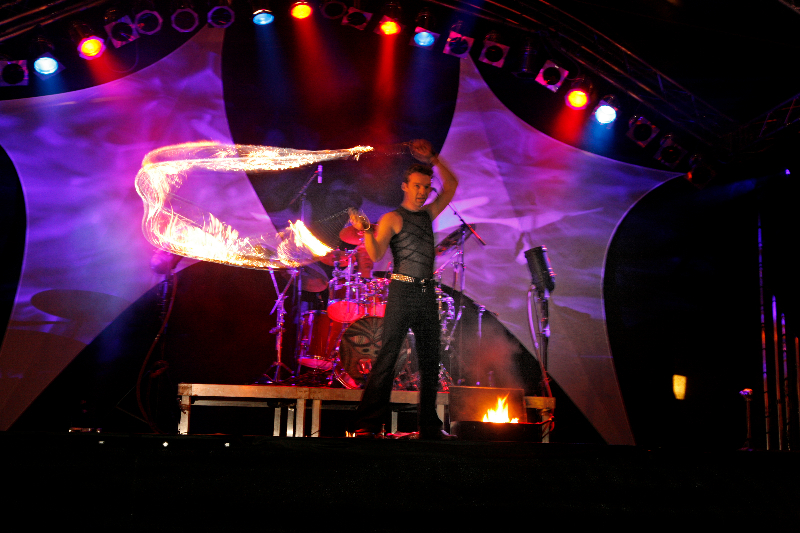 Volker Maria Maier plays out the entire range of fire-effects, all waved into this performance: fire-breathing, burning devil-sticks, or burning ropes – Volker Maria Maier presents himself as an outstanding and all-round-talent of fire-tricks. 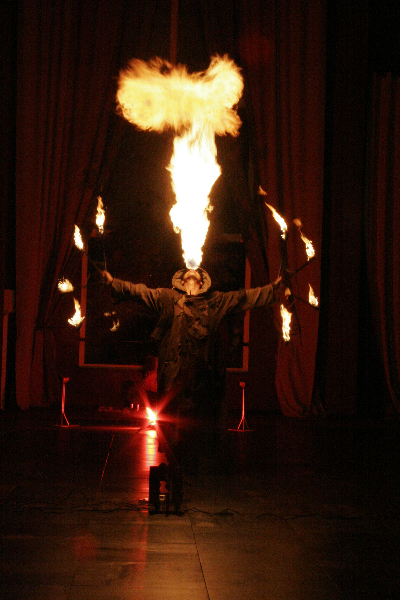 Backed by a rocky sound, he conquers your senses in a breath. 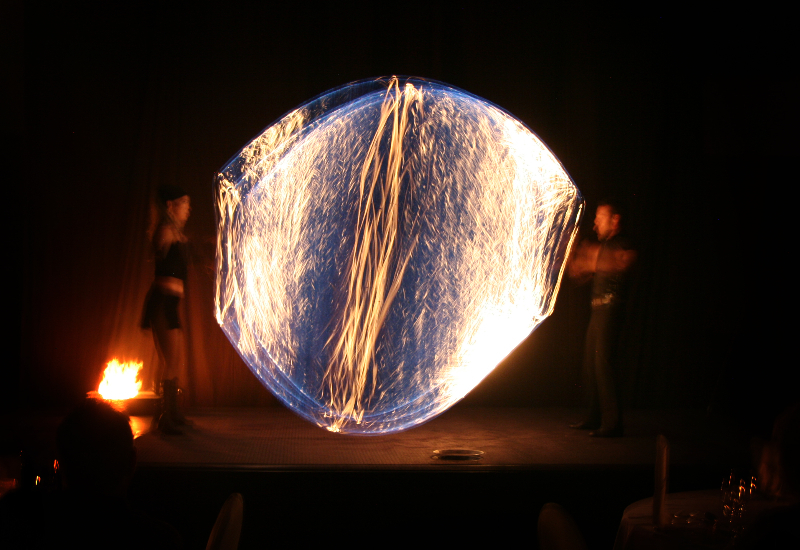 This show consists of different parts and can be specially designed for the desires and needs of your guests. 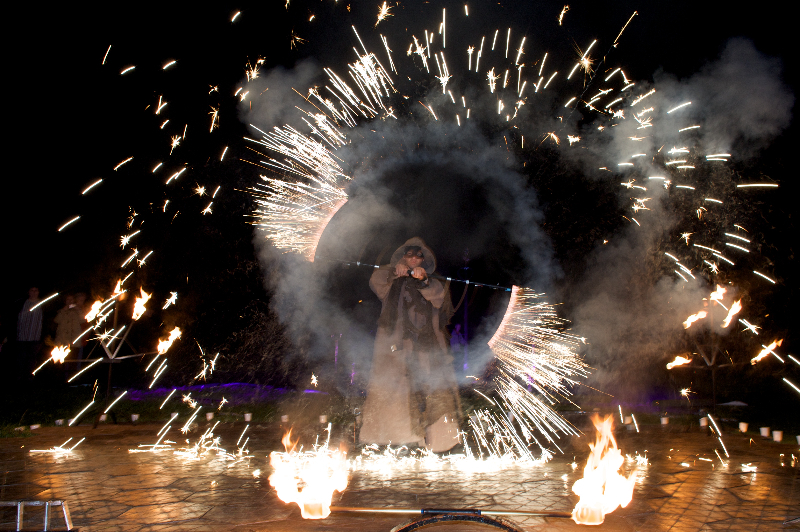 We also make use of pyrotechnic for this show. 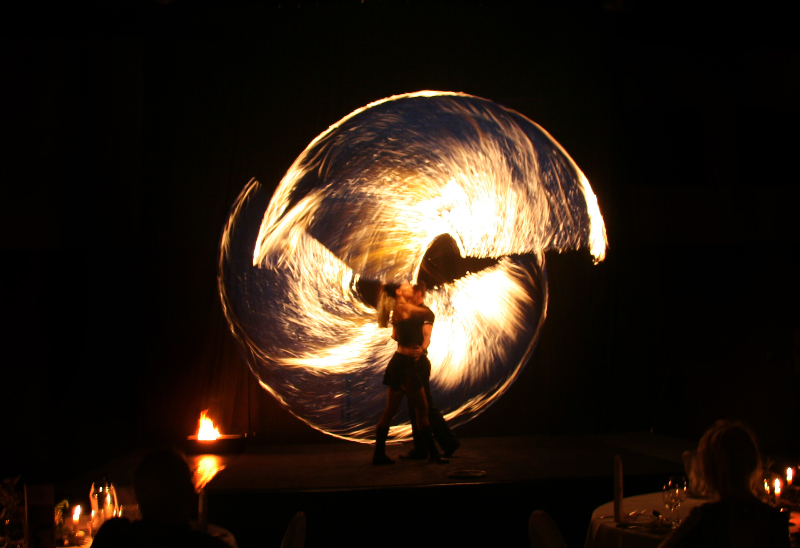 This impressive fire-show with two performers, combines the artistic abilities of Volker Maria Maier with the fascinating flexibility of Nicole, a renowned contortionist. 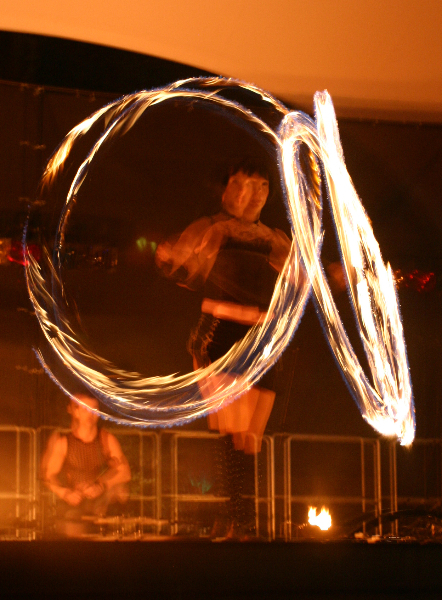 It shows a fascinating interpretation of the issue of fire on highest artistic level, revealing the full palate of skills of these two artists. 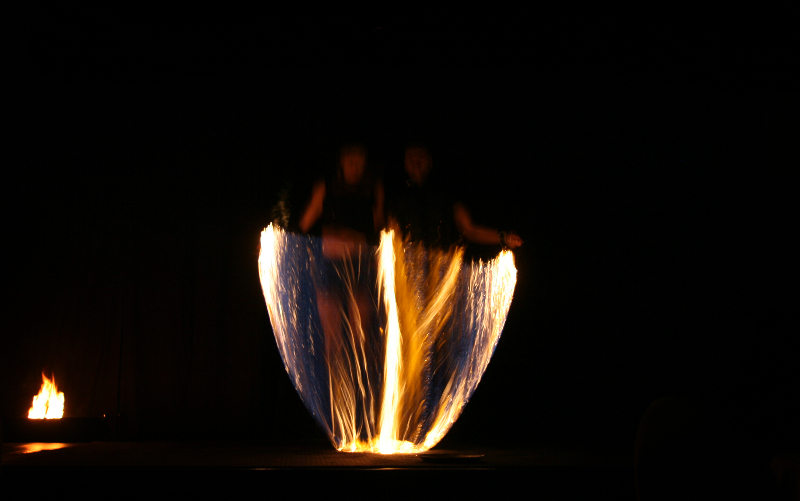 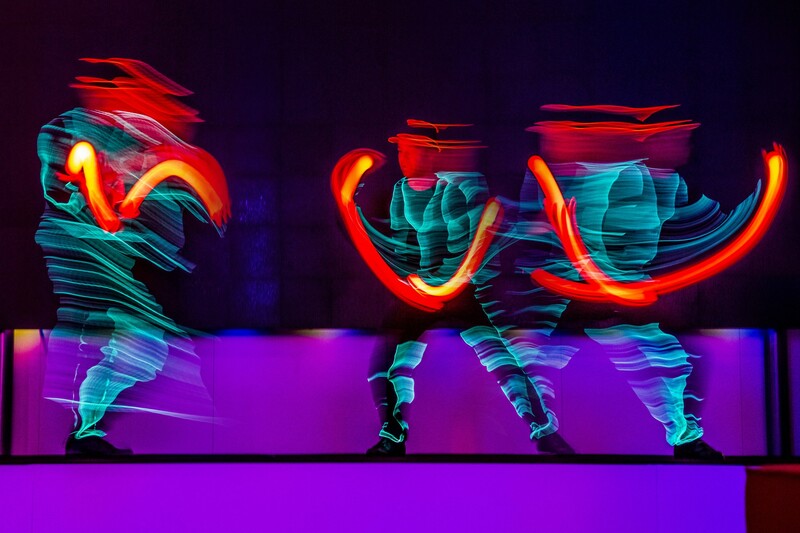 The performers and flames merge together to produce a ground-breaking depiction of the impassioned human body. 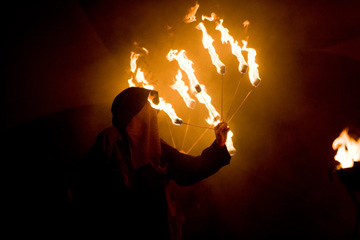 The show is accompanied by powerful music and supported by awe-inspiring pyrotechnics.